This Tryzub designed egg was made because Donna asked me to make one. In case you are wondering who Donna is, she's my good friend who runs the naztazia.com website. 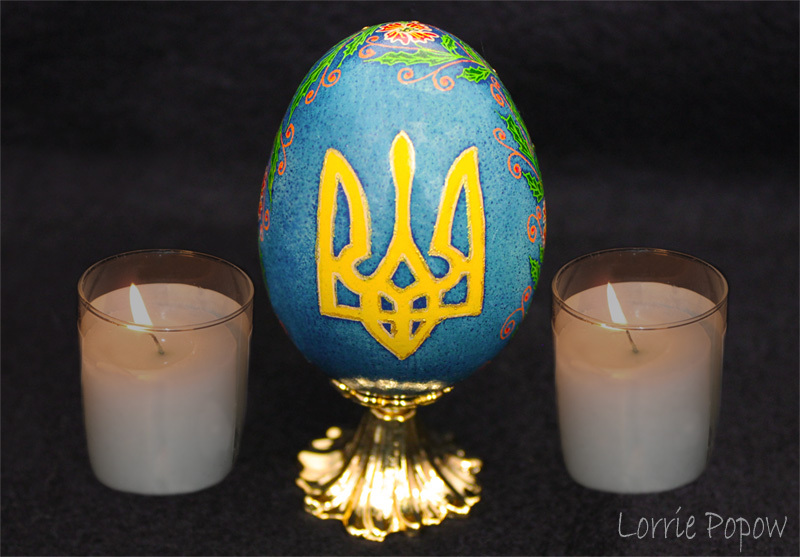 Both Donna and my husband are of Ukrainian descent, so I wanted to make something to reflect their heritage. A Tryzub is a symbol for Ukraine.